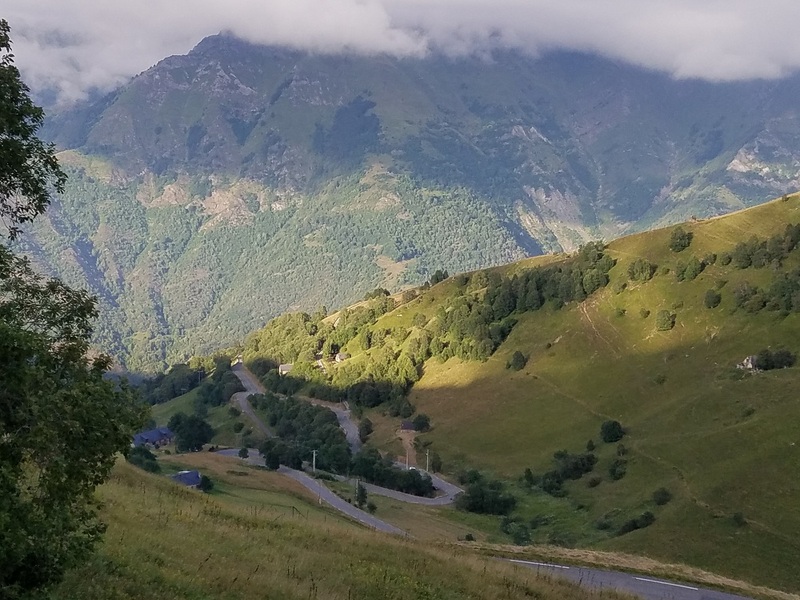 France Cycling Tours - Markets, Food and Cycling . . . does it get any better? 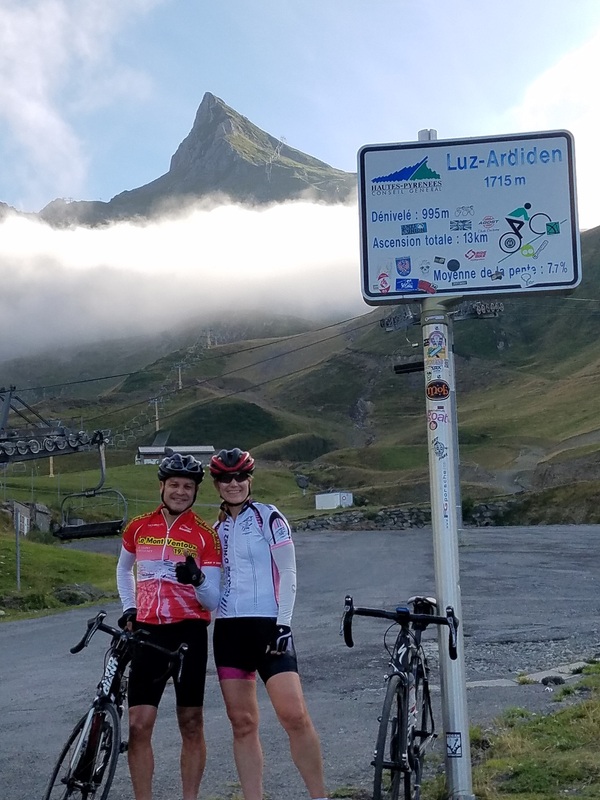 Today started with a visit to the market at Luz Saint Sauveur and finished with a beautiful ride up to the Ski station of Luz Ardiden. The markets of France are one of my favorite things about this country, and today's market didn't disappoint. There were all kings of fresh fruits, meats, cheeses, etc. 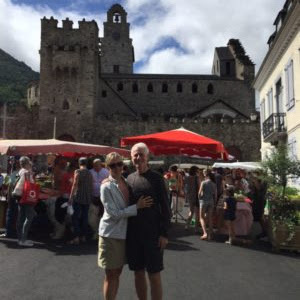 Here's a picture of Mike and Jeanne by the church in the old part of town, as we entered the market. And here's one with Val and a sausage maker from Catalan, who gave us a deal in exchange for a promise to send him a postcard from California! After a leisurely lunch at our rental house we set out for a ride up a small road from our village to to the ski station of Luz Ardiden, which is nearly 4,000 feet almost directly above us. The road was beautiful as it snaked it's way up the mountainside. And here are Val and I at the summit, which was gorgeous. Since my bike still hasn't arrived, I wasn't able to video the descent, but I'm cautiously optimistic that my stead will arrive soon!